I have a few fitting room pics saved on my phone so I thought I'd do a quick post on these items just in case you're interested. The particular store that I went to also had a rack full of these tweed dresses. I own last year's version. This year, the same fabric is also available in skirt form. I didn't try on either one but wanted to mention. After purchased 2 bags from a Kate Spade fatory store, I am a fan. I made a quick stop to check out their new arrivals and did a double take when I saw this bag. It's almost identical to the Celine Trapeze (especially the B&W one). Kate Spade factory also had 50% off everything this past weekend. It's a great alternative if you're looking for a similar style. After the discount, it was $200 vs. $4K for the Celine. Yikes! The last 2 items were from Target. I make a trip to Target weekly and try on their clothes once in a while. I tried on a bunch of things last week but these two were my favorites. I didn't purchase anything because I have no need for either one. 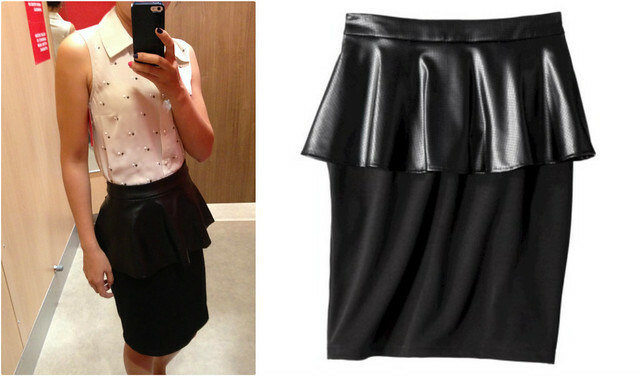 If you're looking for a peplum skirt or a sleeveless blouse, these two are great options. That trench is beautiful! Love the color. 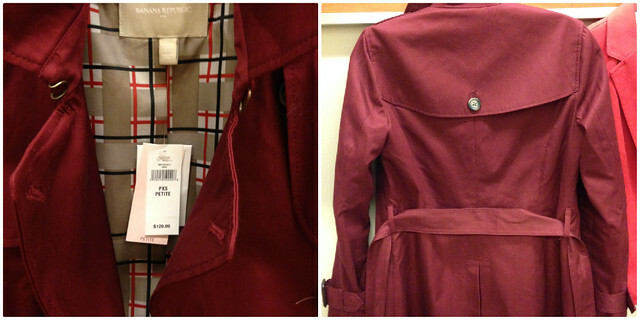 The trench is beautiful on you and the color is perfect for fall! Need to go check it out myself. Thanks for posting! Thanks for sharing! I feel like Target is upping their game in the clothing department, which is a good thing. The outfit looked great on you! The coat and that top! Love your PICKS! That pencil skirt is lookin' so hip. I just bought the Celine Trapeze during a trip to Paris and that Kate Spade is a steal! Wow, I REALLY like that coat on you!! Totally not trying to be an enabler, lol, but I think it fits you perfectly :) I especially love the color on you! 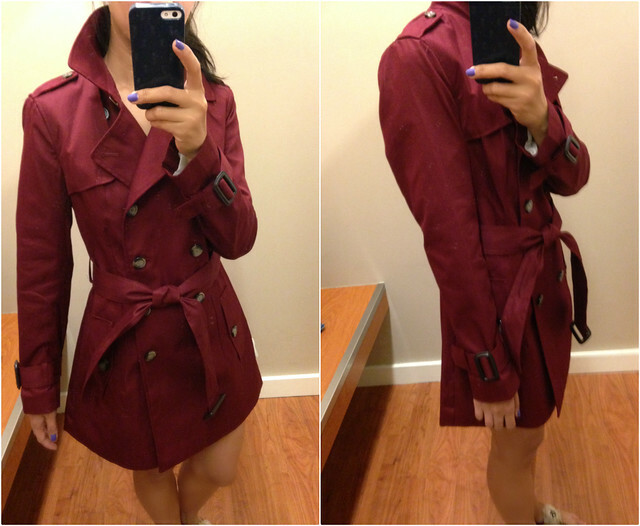 Really in love with the color of that trench! Wow what great finds! Hope you get the trench :). And I looooove the black and white KS bag! Obsessed!!!!! The color of that trench is just gorgeous! I think you should go back for it!